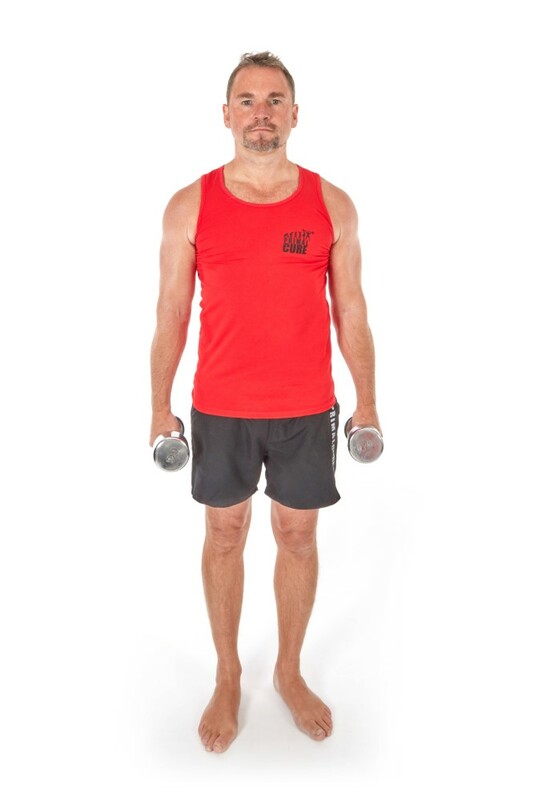 Hold the dumbbells with very slightly bent arms by your side, with palms facing towards each other. Stand tall, but at the same time contract your abs. 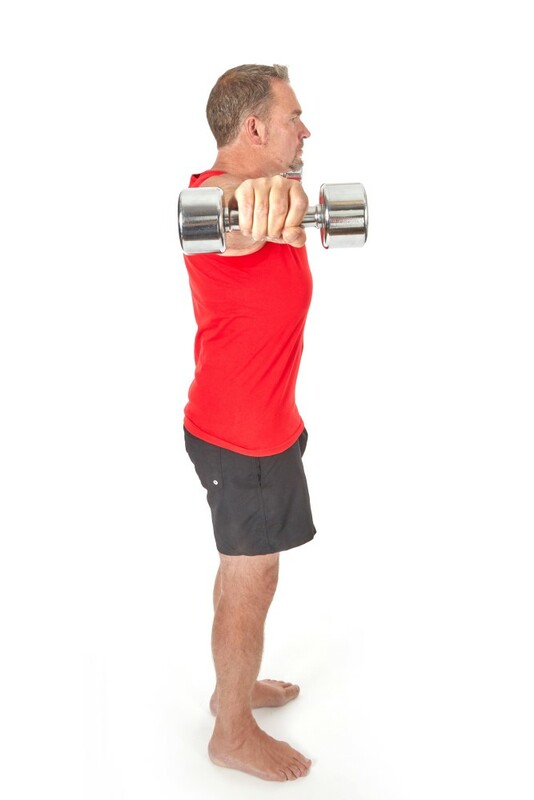 Without changing the shape of your slightly bent arms, raise the dumbbells to your side until your arms are straight (your body should now look like the letter T). 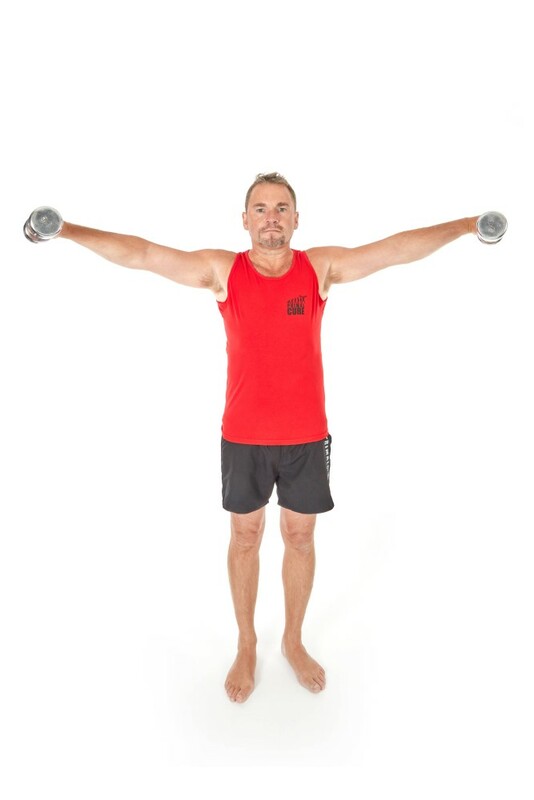 The dumbbells should be pointing to the ceiling and not allowed to rotate. At the top really connect with your shoulders and try and hold for a second or two, before slowly lowering them. At the bottom, don't rest but immediately begin the next rep.
Once you max out, pick up some lighter weights and get back to the T position and see how long you can hold the position for (if you are in a crowded gym try not to scream too loud).